Petite Epazote is a unique, Latin Herb with a very strong, distinct taste. 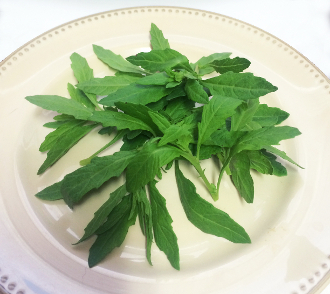 Similar taste to Tarragon or Mint, but more pungent. Long green, jagged edged leaves. Great flavor addition to any Mexican or South American dish!